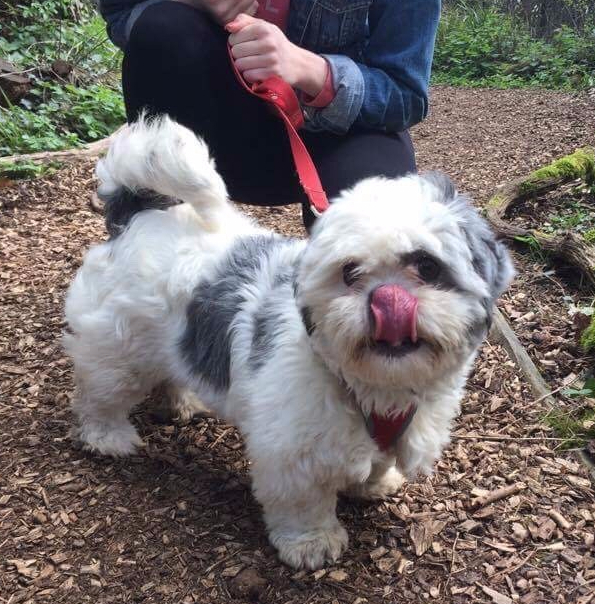 Bonnie (Bon Bon, Bonay Shonay) is a Shih Tzu adopted from the RSPCA Woodside Centre in Leicester, when she was just 11 months old. She has spent the first steps of her life in a puppy farm being disgustingly treated and unkept. We went to the Rescue Centre just for a walk around to see if there were any dogs that took our eye… we had a look around and had no luck. Just when we were about to leave the lady at the desk asked what we were looking for, we said a ‘young, girl, and cute’. Then skipping round the corner came Bonnie (who was originally named Gremlin). We couldn’t believe that such a cute little ball of fluff could have been mistreated and we signed her off straight away. 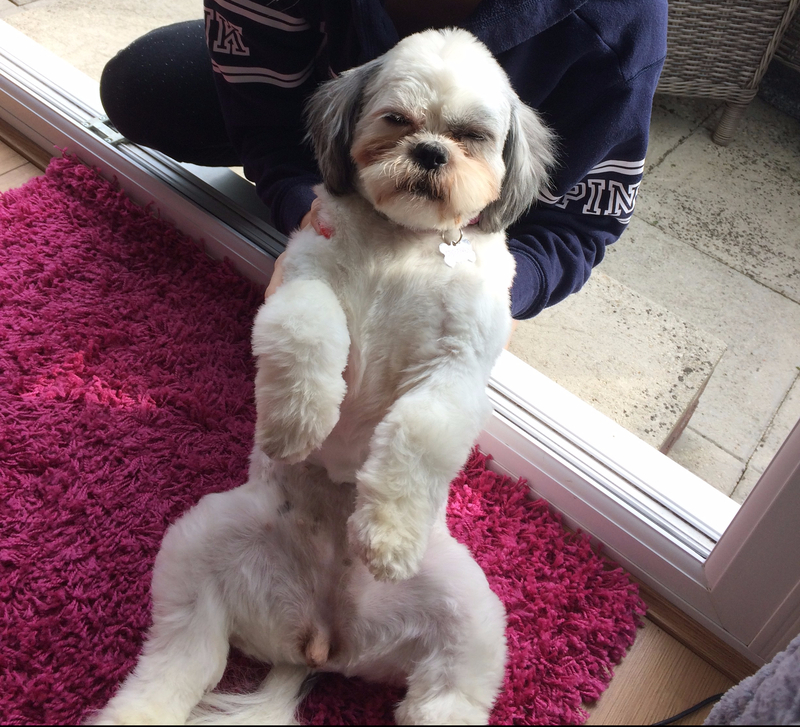 I would recommend Shih Tzu as a breed to anyone as they are so loving, and have the kindest temperament, but also have a crazy side when they are excited. She has the sassiest personality, but thats why we wouldn’t change her for the world! 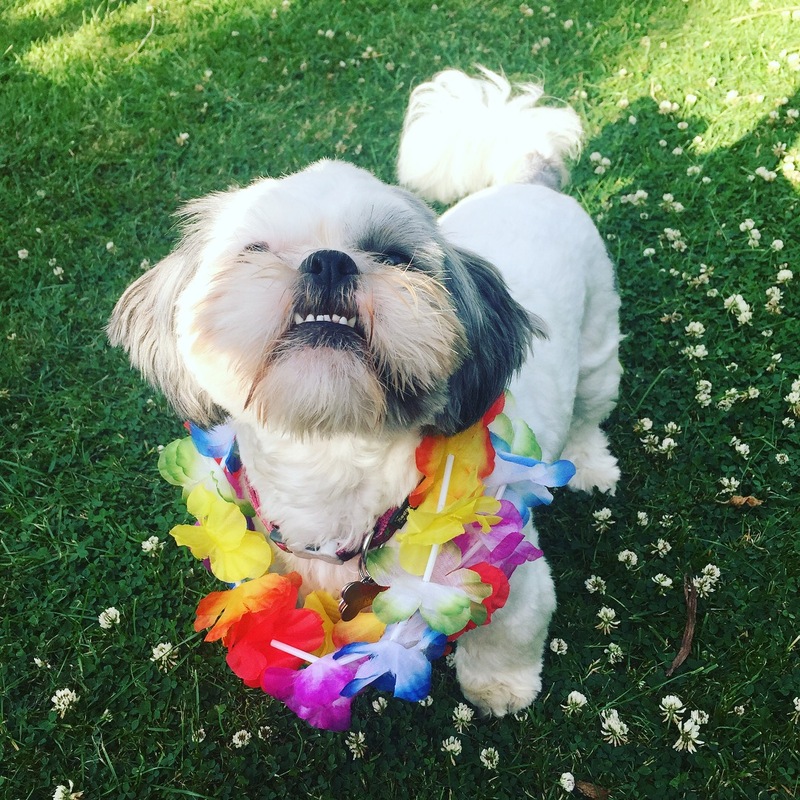 Bonnie is now having the best life ever with us, and enjoyed her first summer in the outdoors enjoying them ‘Hawaiian vibes’. If you have any dog Rescue stories I would love to hear them or any funny dog stories. What a gorgeous little dog and well done on saving her life. Anyway, I called by to leave my thanks for your recent decision to follow Learning from Dogs. Please think of sharing your stories about you and Bonnie with everyone over at my place. Such a cute pie! Bless you for being that awesome!